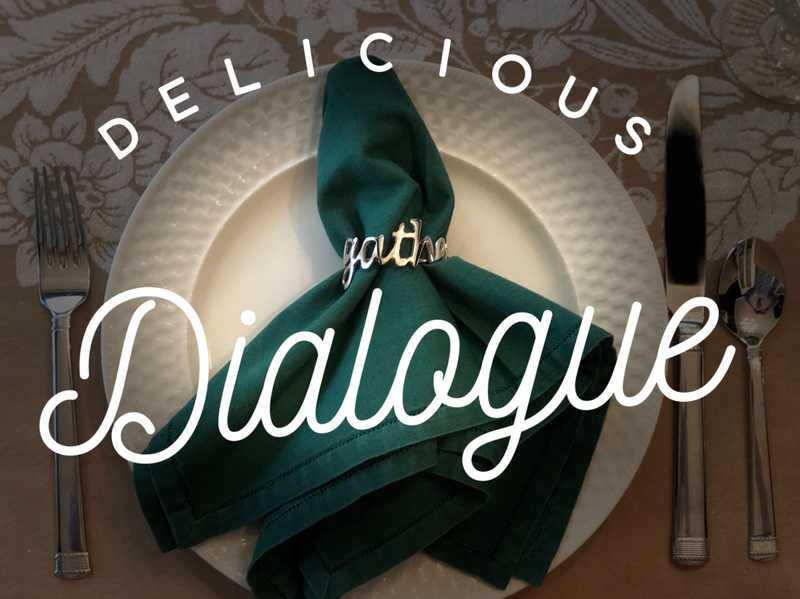 WOMEN OF ASSURANCE, YOU ARE INVITED TO HAVE A “DELICIOUS DIALOGUE”! In speaking with Pastor Daniel, the question of how we could achieve a better sense of community between the three worship services arose. The goal being to know each other better as one Assurance. Gathering at a table is one way to accomplish this. When I was thinking about a table, the first thing I thought of was that Jesus invites us to a table. He calls himself the bread of life. He calls himself the living water. It doesn’t matter who you are, He offers us to come to His table and the beautiful thing is that we can come as we are but we don’t leave as we are. We leave changed because He transforms us. In thinking about this season approaching and the women who will gather for “Delicious Dialogue”, I thought about how important “table” is and how important it is to practice hospitality for one another to come, offer ourselves to one another, to share bread, to open our hearts and to have an opportunity to know and to be known. During the month of October we offer the opportunity to have “Delicious Dialogue” in a variety of homes with various dates and times. We invite you, the women of Assurance, to find the date and time which works best for you, contact that hostess number and join other women of Assurance for a “Delicious Dialogue” together. Feb. 8th lunch at noon … hostess Cindy Berrier 704-430-9718. Feb. 13th brunch at 10:30am …. hostess Cindy Barkley 919-622-1240. Feb. 18th dinner at 6:30pm … hostess Eleanora Miller 704-562-6794. Feb. 23rd brunch at 10:30am… hostess Karen Gray 704-560-8833.